I realize my title is really bad grammer, but it seems like I’ve heard that phrase before. Anyway, aren’t these rings cute and darling? My friend Katie and I went to the Sierra Vista Mall arcade (it was a ghost town in there). Well, we played a little skeeball and twisted the prize guy’s arm to give us a prize that was more than our actual ticket count. It wasn’t really all that hard to do! These rings are just so fun and cute and make me smile everytime I see them! I need more stuff in my life like that, don’t you? Other than the prize counter at a random arcade, I’m not sure where you can get these. I’m assuming Oriental Trading might be a good place to start! 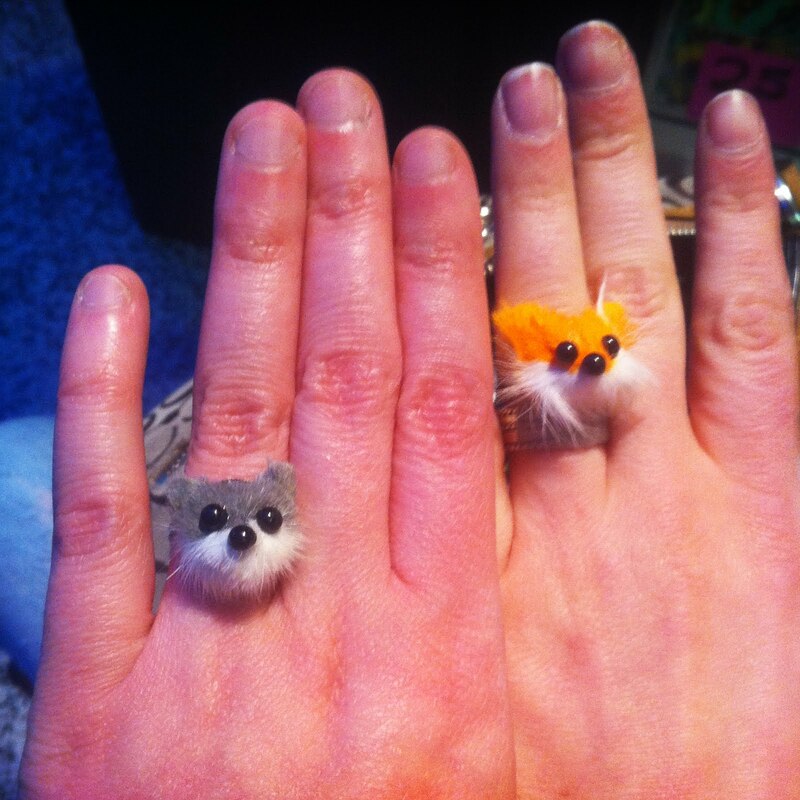 Those rings are just a tiny bit creepy but oh so adorable! I love things like that, you can’t help but smile when you look at it!! I really like this ring.I have never seen a ring like this.I want to buy this ring.Its really a very beautiful! !